Hello friends! 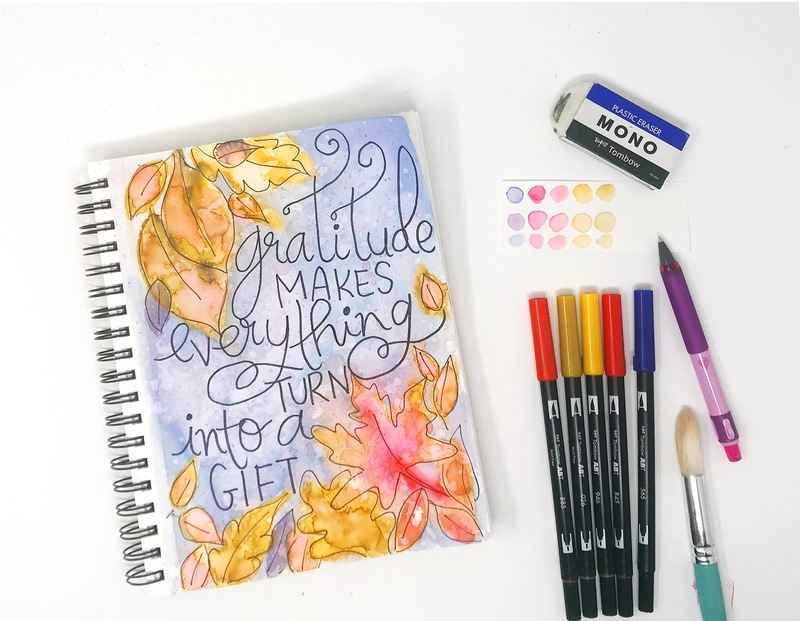 Smitha here and today I am sharing a watercolor art journal page with a fun color twist. For my fall color combo, I naturally reached for yellows, ochres and reds. But to add a twist, I chose a dark blueish purple to bring a strong contrast. I quickly created a small color swatch of my colors with water and liked how they all looked together. This is an easy way to explore new color combinations. To watch me create this page from start to finish in my sketchbook, enjoy this short video tutorial! I start with a pencil sketch on mixed media paper. This helps me determine the placement of my type and elements. I usually do my sketching late at night just before I go to bed – that’s my favorite time. Once I have a sketch, I start coloring it in with the Dual Brush Pens and painting over them with water. These pens are water-based and the color reacts with the water so beautifully! I like to add a first layer of color and then go back to add more layers of color to make it as vibrant as I need. The video above explains this all much better, I promise. Finally, I did the lettering with the MONO Twin Permanent Marker. 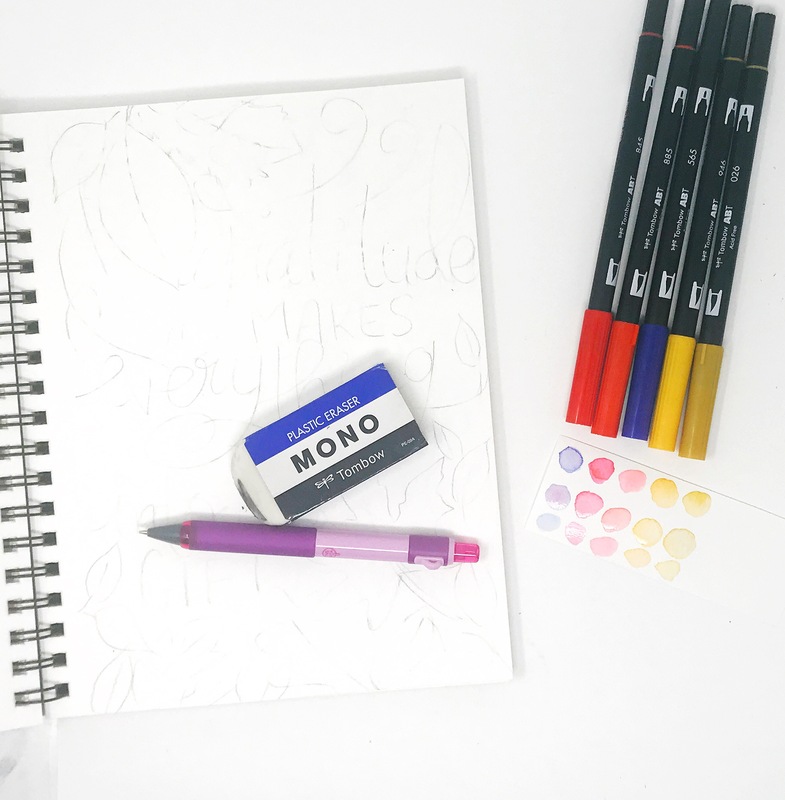 It’s the best pen to use on watercolored paper because it won’t bleed. 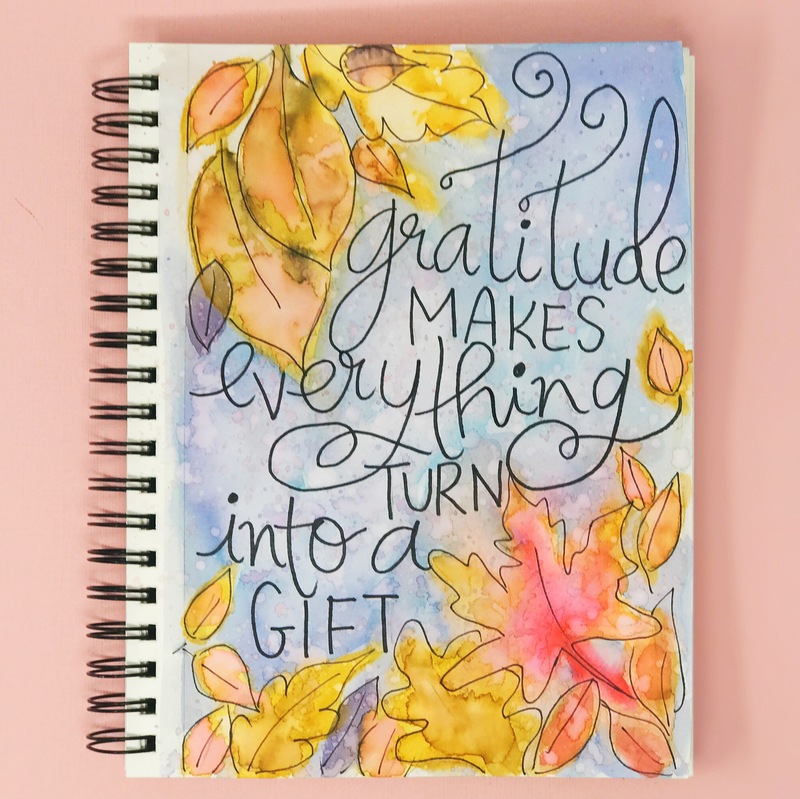 I absolutely love this quote “gratitude makes everything turn into a gift.” What is your favorite gratitude quote these days? Let me know in the comments below.